Ellis Park president Ron Geary, well-versed as a horse player and handicapper, is betting that this summer will be his best meet since buying the track nestled on the Ohio River in 2006. In fact, by featuring enhanced purses for horsemen, restoration of a 2-year-old stakes and continued player-focused emphasis, Geary expects the 30-date session that runs July 2-Sept. 5 to be the strongest in more than 20 years. Thanks to burgeoning business with its Instant Racing parimutuel games and a $1.35 million contribution by Kentucky Downs, Ellis Park’s races will offer purses averaging $210,000 a day for its 30-date summer meet, Geary said. That’s up from $155,000 a year ago at the 1 1/8-mile track nicknamed “the Pea Patch” because of its signature soybeans growing in the infield. Maiden races for Kentucky-bred horses (the majority of horses racing) will have pots of $38,000 – up $9,000 from last year, while allowance races will range from $39,000 to $42,000, including the supplements from the Kentucky Thoroughbred Development Fund for horses born and sired in the commonwealth. “Those numbers are going to make me seriously consider whether it’s worth going to Saratoga or Del Mar,” said Louisville-based trainer Dale Romans, whose two-time Grade 1 winner Brody’s Cause first raced at Ellis Park. “I just hope more people don’t start staying behind and it gets tougher to break a maiden at Ellis. I mean, Brody did get beat at Ellis. Scott Blasi, chief assistant to newly-elected Hall of Fame trainer Steve Asmussen, said the enhanced money makes Ellis an alternative starting point for quality horses. “It will give you a good option for horses that aren’t quite ready to go to Saratoga yet, that are still here in the development stage,” Blasi said. The stakes schedule is highlighted by the $100,000 Groupie Doll for fillies and mares at a mile. The Grade 3 stakes was renamed for the 2012-2013 Breeders’ Cup Filly & Mare Sprint and two-time Eclipse Award champion who raced three times at the track, including victory in the 2011 stakes and third in 2013 when it was known as the Gardenia. Also on that Aug. 6 card is the return of the $75,000 Ellis Park Juvenile, giving Kentucky a much-needed 2-year-old stakes in the summer. The seven-furlong Juvenile promises to be well-populated, given the strength of Ellis’ maiden races, which last year launched Brody’s Cause (winner of Keeneland’s Grade 1 Breeders’ Futurity last fall and Blue Grass this spring), Grade 2 winners Venus Valentine and Dothraki Queen, Grade 3 winner Mo Tom and G2 Fair Grounds Oaks runner-up Dream Dance. Ellis Park’s juvenile program also produced future Breeders’ Cup winners Cat Thief (Classic), Boston Harbor (Juvenile) and Caressing (Juvenile Fillies), older male champion Lawyer Ron and Grade 1 winners Noble’s Promise, Request for Parole, Turallure, Pure Fun, Pure Clan, Java’s War and Richter Scale. 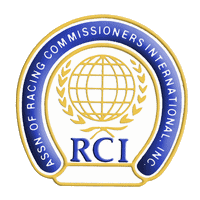 Instant Racing wagering at Ellis set a record each of the past three months, including April’s $7.17 million, according to Kentucky Horse Racing Commission statistics. As part of the tracks’ strengthening relationship, Kentucky Downs is marketing and distributing Ellis’ simulcast signal nationally. 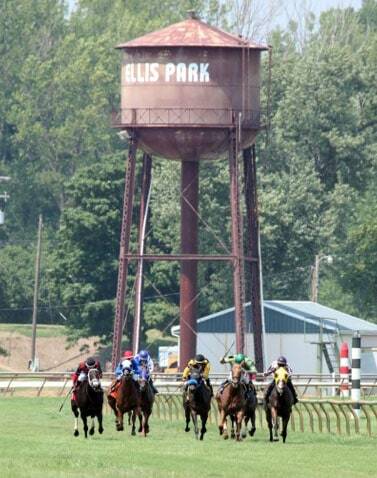 The all-grass track in Franklin, which pioneered parimutuel wagering on historical horse racing in the commonwealth, also is transferring $1.35 million to Ellis for purses to help build the circuit — an arrangement endorsed by the Kentucky division of the Horsemen’s Benevolent & Protective Association, the group representing the state’s owners and trainers. When Churchill Downs balked at any overlapping days between its September meet and Kentucky Downs, Geary resolved the thorny situation by giving Sept. 3 — the Saturday before Labor Day — to Kentucky Downs for its opener. Ellis’ closing weekend is Sept. 2, 4 and 5. “We were trying to make it a win-win,” said Geary, whose minority partner in Ellis is Saratoga Harness Racing Inc. “And I think it did. I think it will work out really well and help the circuit be stronger during the summer and the fall. Location: 3300 US-41, Henderson KY. Dates: July 2-Sept. 5 (30 days), Fridays through Sundays, plus Mondays July 4 and Sept. 5. No racing Saturday, Sept. 3. Post time: 12:50 p.m. CT/1:50 p.m. ET. General admission: free. Reserved seating in Sky Theatre and Clubhouse. Multi-horse wager minimums: 10-cent superfecta; 50-cent trifecta, Pick 3, Pick 4, Pick 5; $1 exacta, Super High Five. Stakes: July 9 – $50,000 Ellis Park Turf, fillies & mares 3yos & up, 1 1/16 miles (turf). July 16 – $50,000 Don Bernhardt Memorial, 3yo & up, 6 1/2 furlongs. Aug. 6 – $100,000 Groupie Doll (G3), fillies & mares 3yos & up, mile; $75,000 Ellis Park Juvenile, 2yos, 7 furlongs. Sept. 5 – $50,000 Cliff Guilliams Handicap, 3yo & up, 1 1/16 miles (turf).